Nowadays, CNC machines are used in almost every industries, from big company to small factory. 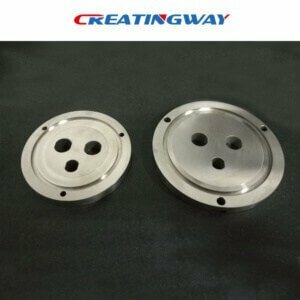 And the developing CNC machining technologies takes people ‘s life more and more convenient. 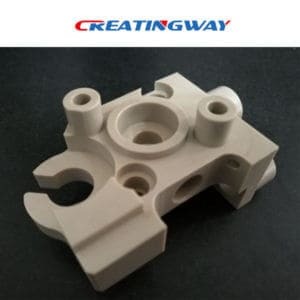 The customers who require to quote by CNC machine are more and more, since the cost of part done by CNC machine is reduced a lot. These days, we receive many customers who send us drawing for quote. But some of the drawings we could not do. Such as drill a hole from the part surface, but different construction inside the hole; such as put several hangers on the inner surface of cube and so on. Now below we will describe some CNC machines applications, so people who involved in the manufacturing should know what a CNC machine can do for their company and how the CNC machines works. It is a most important application of CNC machine. The metal removing industries remove the metal from the raw material to give it the desired as per the requirements. The CNC machine is automated to make the shafts, gears, and many other parts. It is making the various rounded,square,rectangular,threaded and other jobs. How are those works done? They are performed by different machine tools like lathe,milling machine, drilling machine, boring machine,shaping machine, reamer, and son on. Traditionally these machines are operated by the operators, but the CNC versions of all these machines are now used extensively. You can also carry out all the turning operations such as facing, boring,turning,grooving,knurling and threading on your CNC turning centers. On your CNC grinders you can carry out the grinding of the internal diameter, outer diameter, and also the flat surface. Even the contour grinding technology enables you to grind surfaces of all shapes. Sometimes, we will get some drawings that using a plate sheet to be a required shape by CNC. How does it work? The CNC machine can be used for various machining operations like shearing, flame or plasma cutting, punching, laser cutting, forming and welding and so on. CNC lasers and plasma cutters are frequently used to bring the plates to their final shape. The CNC turret punch presses can punch the holes in the plates of all sizes. If you want to bend the plate to a required final shape, you can use CNC press brakes. After reading this article, will you know more about the CNC machines applications? And what kind of shape the CNC can do? How are those shapes done? Maybe you have found the answer. Later we will write something of detail applications one by one which is much clearer.